Brother Dennis R. Bautista, S.M., Ph.D.
Mary Lynne Gasaway Hill, Ph.D.
Daniel Njoroge Karanja, Ph.D., D.Min. Brother Michael Sullivan, S.M., D.M.A. Rev. Rudy Vela, S.M., D.Min. The Edward and Linda Speed Peace and Justice Fellows Program for the College of Arts, Humanities and Social Sciences is made possible by a gift from Ed Speed (B.B.A. ’70, M.A. ’86) and his wife Linda. The program supports scholarship that advances Catholic social teaching, human rights, social justice and peace building. Eric Chelstrom, Ph.D., was the Edward and Linda Speed Peace and Justice Fellow in 2016. His project examined how we should think about the basis for human societies and how we should understand social injustice. It is a philosophical analysis of oppression, which will result in several conference papers and a book proposal to advance the understanding of the topic of oppression. “Oppression is pernicious insofar as it affects the formation of persons’ consciousness. The oppressed internalize systems of oppression. If our mission as a Marianist institution is to educate for justice and peace, and to form our students’ characters, understanding how oppression functions is important to our purposes – as we do not want to inadvertently contribute to oppression. And given that oppression is often facilitated by its invisibility, our ignorance of how we are participating in oppression, it is imperative that its effects be brought into the light of day. 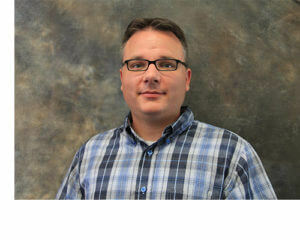 Doing so also promotes dignity, rights, and responsibilities and attends to poor and marginalized,” said Chelstrom. His project will facilitate our capacity to adapt and change in a manner consistent with interests in justice and the common good. Meghann Peace, Ph.D.
Meghann Peace, Ph. D., was the Edward and Linda Speed Peace and Justice Fellow in 2015. 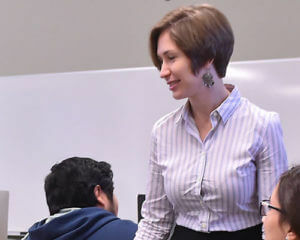 Her project was titled “Mexican and Peninsular Spanish Dialects,” which she conducted in both San Antonio and Spain over the course of the academic year. Peace explored how the context of communication affects the way in which people speak. “I am amazed by (Speed’s) generosity, and I am very honored and excited to be conducting this research,” Peace said when named a Peace and Justice Fellow. Throughout her career, Peace has been very involved in her academic and local communities. 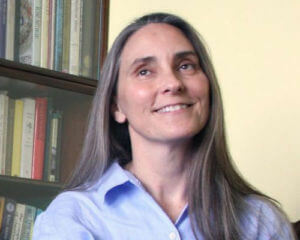 She has been a mentor to undergraduate students and graduate students, taught English as a Second Language to immigrants, provided interpretation and translation services in the United States and Brazil for the Pittsburgh Conference on Analytical Chemistry and Applied Spectroscopy and interpreted at National Kidney Foundation community health screenings for at-risk populations. Mary Lynne Gasaway Hill, Ph.D.
Mary Lynne Gasaway Hill, Ph.D. was the Edward and Linda Speed Peace and Justice Fellow in 2015. The Speed Fellowship allowed Hill to facilitate the writing of a book and participate in several conferences and research trips. research and write the manuscript of The Performance of Protest: Acts of Performance, Identity, and Legitimacy, which is currently under contract with Palgrave MacMillan for publication in spring 2018.
present a paper and chair a session at Critical Approaches to Discourse Across the Disciplines(CADAAD), the leading international conference in Critical Discourse Analysis, in Budapest. receive a letter of invitation, as a result of her presentation, to apply for a Fulbright Scholarship with Károli Gáspár University of the Reformed Church in Hungary. She is currently waiting for notification on that Fulbright application. engage in research with a Hungarian colleague, Péter Furkó, Ph.D., on indirectness patterns in Irish English, and their effect on peacemaking. present a paper and chair a session at the South Central Modern Language Association (SCMLA) meetings, the regional conference in my overarching discipline, in Austin. engage in research on Wilfred Owen, for The Performance of Protest, at the Harry Ransom Center at the University of Texas in Austin. engage, with Genesis Calderon, in participant observation field research on Irish-English linguistic stereotypes in Northern Ireland and the Republic of Ireland. participate, with alumna Genesis Calderon (B.A. ’16), in the Aperture Festival, the 50th anniversary celebration of the Corrymeela Peace and Reconciliation Centre, in Northern Ireland. visit the Marianist Community, with Genesis Calderon, in Dublin, Ireland. The endowment supports faculty development and research within the College of Arts, Humanities and Social Sciences at St. Mary’s University in the disciplines of Theology and Philosophy.